Sunset Overdrive’s colourful pallet and ridiculously juvenile attitude seems to put a lot of people off, but I’m one of those who simply can’t wait for the title to drop later this year. Insomniac Games really knows how to do crazy weapons and over the top gameplay, but they aren’t exactly known for bundling a lot of this content in DLC. Seems that’s changed, with the Sunset Overdrive Season Pass being filled to the brim. Sunset Overdrive is a new IP for both Insomniac and Microsoft, but even that hasn’t stopped them from creating a Season Pass that will bring together a bunch of post-launch content, including stuff that will be exclusive to Season Pass holders. The Season Pass will unlock new weapons, Amps (which act as augmentations in a way), Traps and more than a few clothing options. These include some designs from the community, but you’re going to have to pay to see them. The Season Pass also includes more gameplay, with new areas, bosses and missions being made available for purchase. The entire pass doesn’t have a local price yet, but in the UK it’s going to cost around £16. That seems a bit hefty, but buying each pack separately will cost you more. Still, the idea of this much post-launch content bothers me, especially since this is a brand new console exclusive title. It’s an industry trend that wouldn’t make me sad if it disappeared, but for now it’s staying. Hopefully Sunset Overdrive’s gameplay is as engrossing as it looks, which will probably force my hand in the end. 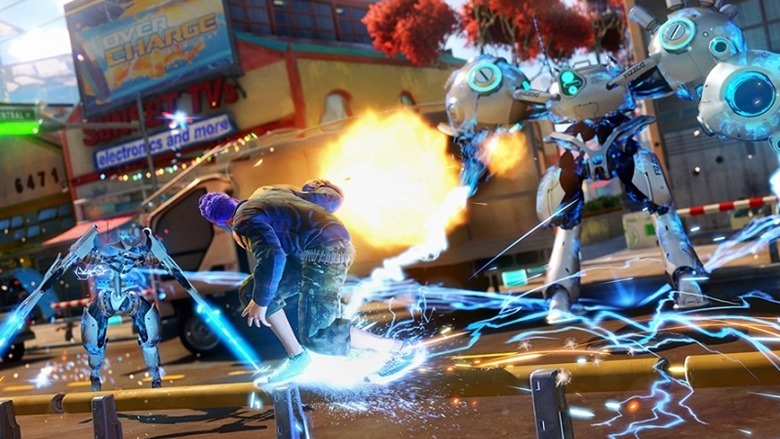 Sunset Overdrive is launching exclusively for Xbox One at the end of October.